Limousin Cattle have been valued for centuries. In fact, the modern breed bears a striking resemblance to cattle painted on the walls of prehistoric caves in Lascaux, France. 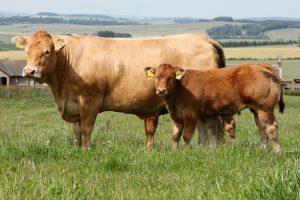 Although Limousin Cattle are renowned for their hardiness and their ability to adapt to most management systems, they may be a little temperamental or slightly difficult to handle. For centuries, they were prided on their vigor and ability to survive the harshest weather, and were used as draft animals as well as for their high quality, fine fibred meat. 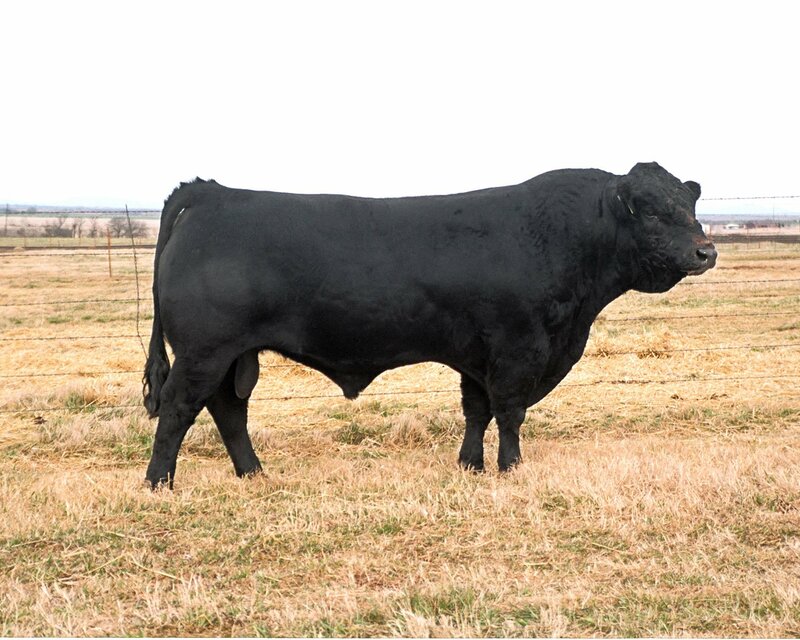 Mature Limousin Cattle are medium sized with deep, long bodies. Limousin Cattle come in red, wheat or honey blond, black, red and white and cream colors. The face and lower legs are usually lighter in color, and bulls are generally darker than cows. The head is small, and the horns and hooves are light in color. Limousin Cattle have pink muzzles. In warm weather, their hair is naturally shorter, but in colder climes, this breed will grow longer, thicker hair. Limousin Cattle have been bred for centuries for their clean top line and well-developed hindquarters. At maturity, bulls stand about 150 centimeters at the shoulder and weigh 1,000 to 1,200 kilograms. Cows stand about 137 centimeters and weigh 650 to 800 kilograms. The carcass yield is very high with little back fat. They produce extremely lean meat and the North American Limousin Foundation’s slogan is “Lean on Limousin”. Their cutability is good and their tender meat has a very fine fiber. Limousin Cattle also have an annual production rate of about 4,100 kilograms of milk when used for dairy. The milk is four percent fat and three point two percent protein. They are long lived and make wonderful crossbreeding animals. Limousin Cattle probably originated more than 20,000 years ago. The Limoges French who bred them prided themselves on the hardiness of these cattle and they were praised in literature as early as 1698! The cows were usually kept outside year round, where they calved regularly and were used as beasts of burden as well as beef cattle. Serious breeding began in the 1800’s, when Limousin Cattle were crossed with Agenais Oxen and therefore, the breed was actually weakened! Leobardy, a breeder, began using natural selection to restore the quality of the breed and was largely successful. The herd book was established in 1886, but was reorganized in 1923 and again in 1937. Limousin Cattle were used for improving crossbreeding in England as early as the late 1800’s, but did not arrive in the United States until the 1960’s, when the Canadians recommended the breed. Imported from Canada in 1968, the first Limousin bull was met with enthusiasm. This year also saw the foundation of the North American Limousin Foundation, and today the Limousin is a major contributor to the North American beef industry. 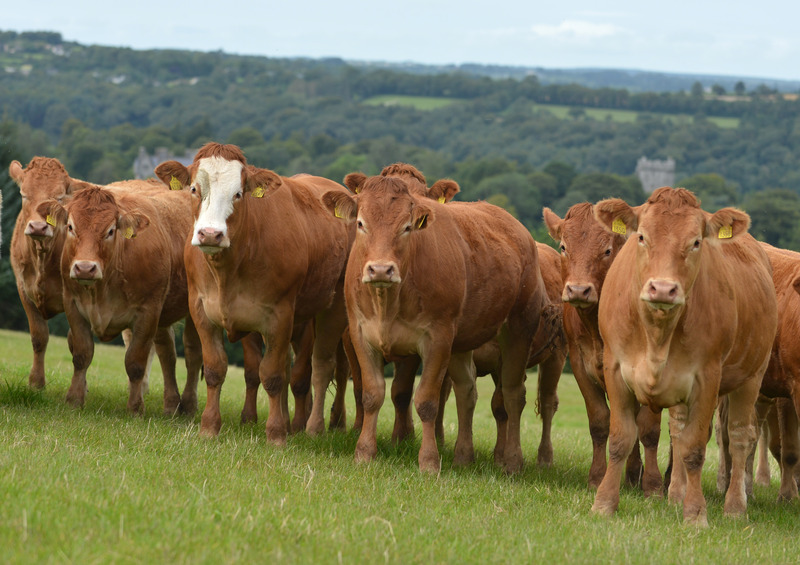 Generally, Limousin Cattle are used exclusively for beef and the cows are allowed to rear their own calves. On the feedlot, you may expect a daily growth of about 1,250 grams! Limousin Cattle should be handled carefully, as they may be temperamental. These cattle are quite hardy but do best when stabled for part of the year. Moderate birthweights in Limousin Cattle are the norm, and allow for fairly easy births, even in crossbred calves! They weigh about 39 kilograms when born, and females weigh about 36 kilograms. They do grow quickly on the feedlot. Limousin Cattle import a generally hardiness and musculature to beef cattle and are valued as cross breeders. Cows are good milkers and good mothers. 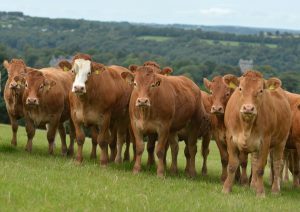 Limousin Cattle are quite prolific and every year the number of weaned calves and their rate of weight gain increases!